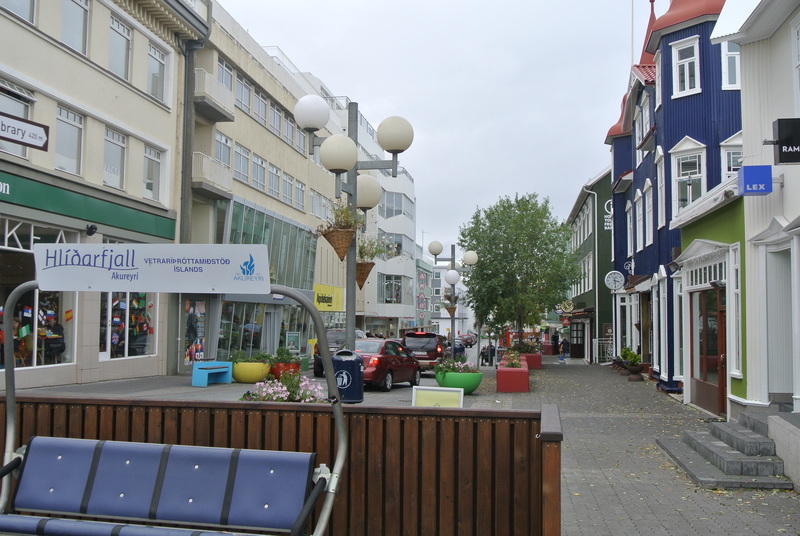 Landing in our second city, Akureyri, on our tour of Iceland we took a stroll along the main street of downtown Akureyri looking for a place where we can grab a bite to eat before heading out to the Nature Baths in Myvatn. 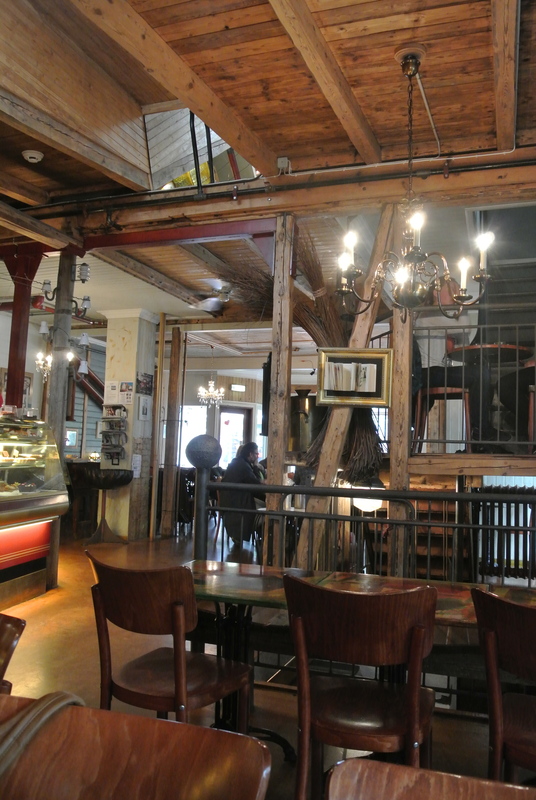 Located in a royal blue building is a cafe called Blaa Kannan – which means Blue Teapot. We enter and are welcomed by a beautiful interior made of timber, giving it a “log cabin” vibe with large chandeliers throughout. Most of the seating provided are communal-type seating giving it a more social atmosphere. 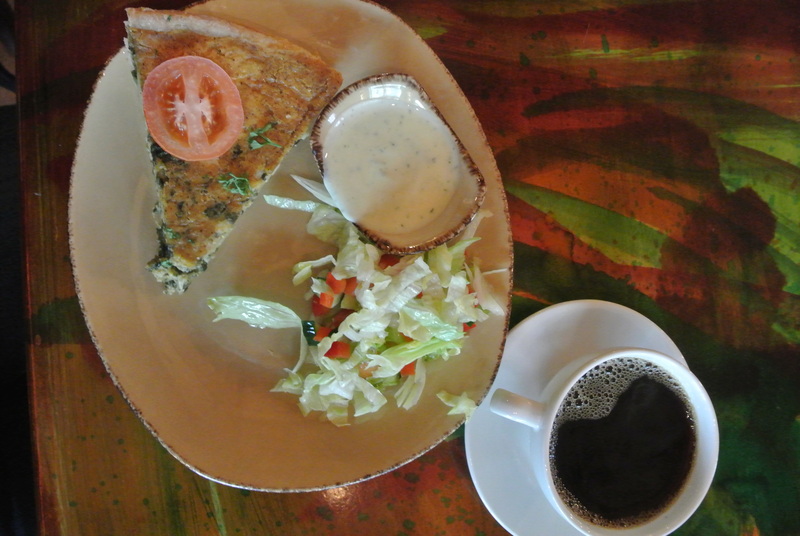 I went for a spinach quiche that came with a side salad and of course, a coffee, for a late lunch. Although I wouldn’t say that Blaa Kannan blew my mind away with their food, the environment and atmosphere of the cafe is great – casual, relaxed and there’s a constant buzz which makes for awesome people-watching! 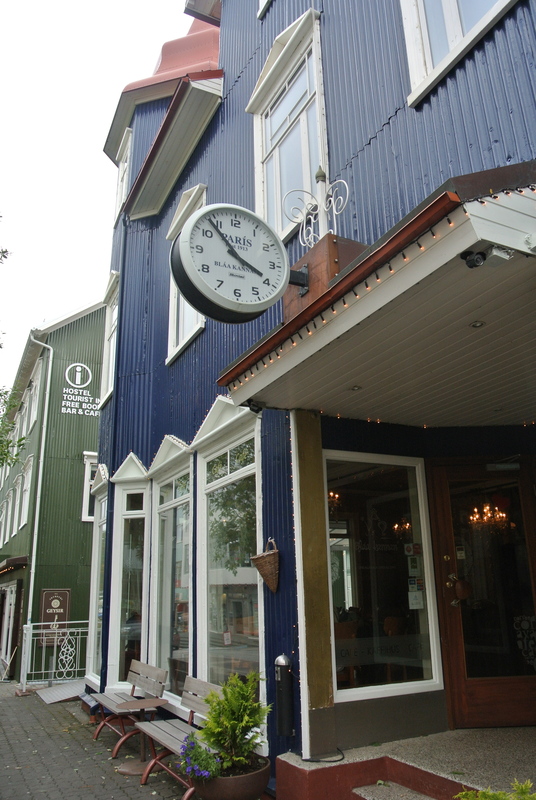 The main street in downtown Akureyri. My late lunch at Blaa Kannan. 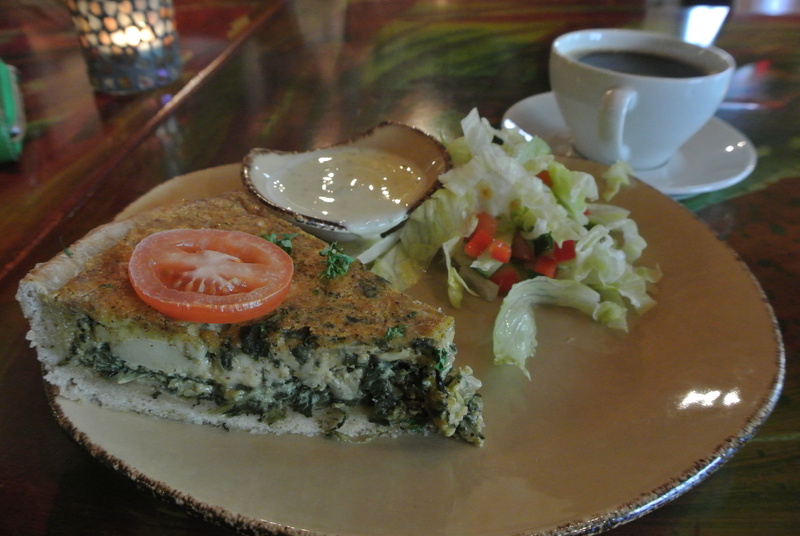 Spinach quiche along with a salad and ranch dressing.